Learn the fastest way to get high-quality clients, no matter where you live, by using proven, step-by-step marketing plans. Do you struggle with your marketing and have trouble getting really great clients when you need them? Do you feel that your marketing efforts are just a waste of time? Or that you’re trying too many random approaches? Or that you’re not even sure what you should be doing next? Do you feel that your business needs a stronger marketing message? Are you suffering from “the feast or famine cycle”? If any of these things are true, you’re in the right place. The Get Great Clients Anywhere Masterclass teaches one clear process you can use to attract a steady stream of new clients and work, month after month and year after year. Watch the Video. Learn the Story Behind This Course. Learn the full story behind this course and how it can help you to grow your business — wherever you live in the United States, or wherever you live in the world. I’ll teach you the exact marketing blueprints I use to get clients on demand — and I’ll help you to succeed in the course, and to get great clients, every step of the way. When I started solo my book design and production business in the United States, I had no clients and zero income. But I didn’t want it to stay that way for very long. Like everyone else, I had bills to pay. Within just a few weeks of launching my business, I got my first clients ... and a few years later, I had my very best year, with $129,400 in sales. First, I had a long, professional background in direct marketing, which was a huge help. And of course I made some mistakes, despite my experience. But I quickly recovered from those mistakes and used several very efficient direct marketing blueprints that were absolutely painless — with no cold calling, or similar techniques, involved. I developed a steady and proven method to get better and better clients, so that I now work with the very best clients in my industry, and no longer need to spend any time marketing today. Typically, I am booked out at least six months ahead of time with steady, satisfying, and well-paying work. And that’s the place you probably want to be, too. Avoid Disappointment — and Get Great Clients Instead . . . Putting up a website, putting out a few posts out on social media, and waiting for good clients to show up is a fast road to disappointment (and going broke), especially if you sell to traditional businesses — which are the best-paying and most-reliable clients. Unfortunately, for many entrepreneurs, “Build it and they will come” doesn’t really work. If I had tried that with my business, I would have quickly gone under, because my best clients aren’t even looking for service providers on social media or the Internet. They are too busy doing actual work, and getting paid for it, to surf the Web. When you sell your services to traditional businesses, the best way to get clients is to directly reach out to them, and not to assume that they will magically find you online. Let me teach you how to identify, choose, and start working for your ideal clients. I run a freelance writing business. David’s Get Great Clients Anywhere course was instrumental in helping me formulate a winning sales proposition that married my prospects’ pain points with my unique ability to ease them. This is easier said than done, but with his worksheets and expert guidance, we got there. David is a strong proponent of outbound marketing — that is, directly reaching out to potential clients — instead of inbound techniques like blogging. He was right about that. Learning how to send the right pitch to the right prospects led directly to landing several of my first good clients. I thought I would share something I put into practice today. The pricing strategy from Module 1 was put into action today, specifically the point of charging enough so that you look to be professional. A job I quoted today would normally have gone for $1,000. I pointed out to the client all the specific expertise I would bring to the task, and quoted $1,800 with confidence. Job secured and contract signed. Thanks for the advice, David. This course has paid off already! Every business needs a proven and reliable process to get new clients. Get Great Clients Anywhere is a complete A to Z marketing system, and the only marketing system you’ll ever need. Learn how to get great, high-paying clients in 90 days or less, so you can get booked solid without wasting your time. There are 7 Core Modules, plus bonus modules, that give you proven, step-by-step systems for getting new clients for your professional service business. Is your business offering and target market focused enough? No marketing project will be successful if you don’t have a solid marketing message, explaining why people should do business with you rather than with someone else. In this module you’ll will learn how to create your marketing message, or how to improve the one you already have. Bonus video: “The Power of Positioning.” It explains, through a simple story, why positioning your business properly in the marketplace is so important if you want to get paid a professional rate. In this module, you’ll receive step-by-step worksheets to help you create your marketing message. And I’ll personally review your work and offer feedback on how to improve your message — or just give you a high five because you got it right the first time. As part of this module, you’ll receive a free marketing database template I developed for FileMaker, which you can start using immediately to build up your contact list. This is my favorite marketing blueprint, which I used to get over $460,000 worth of work with only a $500 investment. It involves sending out a full-color flier based on your marketing message with a cover letter, and then sending out a follow-up email. What are the benefits of this marketing blueprint? In addition to the videos and other materials, you will receive sample copies of cover letters and follow-up emails, and a graphic design template you can use to create your color flier in the most cost-effective way. I’ll also give you my personal feedback on the marketing materials you produce, to make them more effective and to make sure you don’t make any serious mistakes. In addition, I’ll give you feedback on the messages and designs you create, if you decide to use this blueprint. As part of this module, you’ll receive four sample one-to-one emails, written for different kinds of businesses, and you’ll also receive the Get Great Clients Email Prospecting Blueprint to follow when writing your own emails. In addition, I’ll give you feedback on the drafts of emails you write in our private Facebook group. This is the most complex of all the marketing blueprints, and it can work very well, especially for people who sell strategic services — copywriters, graphic designers, marketing consultants, and other consultants. It involves creating a high-value special report, and offering it to potential clients via a sales letter. When prospects request the report, you know they are potentially interested in your service — and you can start a conversation with them. In addition to the videos and lessons, you’ll receive a sample copy of the special report I created, along with my successful direct mail package, which you can use for ideas in creating your own package. As part of the course, I’ll offer feedback on any package you produce. Improve your financial security by attracting a steady stream of new clients and work. Personally select the kinds of clients you want to work for. Have enough quality leads so you can turn down low-paying work. Use the easy-to-follow and proven marketing systems to automatically get clients without having to over-think what to do next, and with no “tech overwhelm.” Just follow the step-by-step blueprints. Try Get Great Clients Anywhere for 30 days, totally risk-free. If you are unhappy with the course, you will receive a full refund. Just let us know what you didn’t like about the course and we’ll send you a prompt refund. If you own a small, one-person service business like I do, or a much larger service business, the marketing techniques in Get Great Clients Anywhere will still work for you — as long as you sell your services to other businesses. Get Great Clients Anywhere opened my eyes to new ways of finding customers I hadn’t even considered before. Once it became clear what I was doing wrong, David provided me with the steps I needed to start going in the right direction. And after I started following those steps, I had new clients coming in before I even completed the course. But the greatest benefit for me personally was the fact that David went through my work. His encouragement made me more confident in my own skills. Thanks to him, I’m now working smarter, charging more, enjoying my work — and have satisfied clients. Get lifetime access to the course — and use the step-by-step blueprints to get great clients in the most efficient way. Professionally produced video lessons and step-by-step worksheets give you everything you need to create your marketing message, to execute the marketing blueprint of your choice, and to get new, high-paying clients fast, without wasting your time. Whether you’re just starting out or you’ve been in business for several years, David’s Get Great Clients Anywhere course is for you. David cuts the fluff and shows you proven methods that work for building a client base, and he includes examples of how this works for his own business. I guarantee that you will walk away from the course with knowledge that you can apply to your business right away. David is the real deal! Get Great Clients Anywhere showed me how outbound marketing is an effective way to reach the clients you are really interested in working with. Being able to hand pick who I want to work with is empowering. The course is easy to follow and the worksheets are very helpful. I would have never considered outbound marketing before this course. But through David’s careful, expert advice, I am now very excited to be applying direct outreach marketing strategies in my business. Discuss your work with other students, ask me questions, and submit copies of your homework assignments in the private Facebook support group for paid students. You’ll receive lifetime access and can ask questions at any time. Proposals are actually marketing documents. 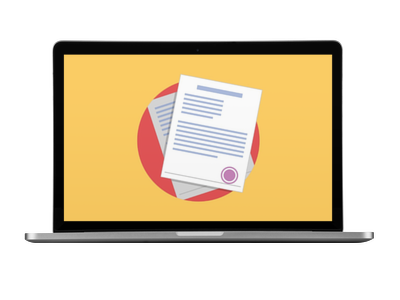 In this bonus module, you’ll learn how to create winning proposals and quotations, and you’ll also receive downloadable samples — including a proposal I used to land a $6,500 copywriting job. Currently, the course contains 38 short video lessons. When you join, you receive lifetime access to the course and to all future updates. And if something you need is not currently covered in the course, we’ll update the course with a new video. I’m so happy that I took Get Great Clients Anywhere. This was the first course I’ve taken that gave me the tools I needed right away. I was doing things immediately to help my business, my marketing message, creating my website — all of these things I assumed I would do after completing the course, not during. The course has such great content and it really gives people the tools they need to start really building their business and to find the right clients — and not just any clients, but the right ones. 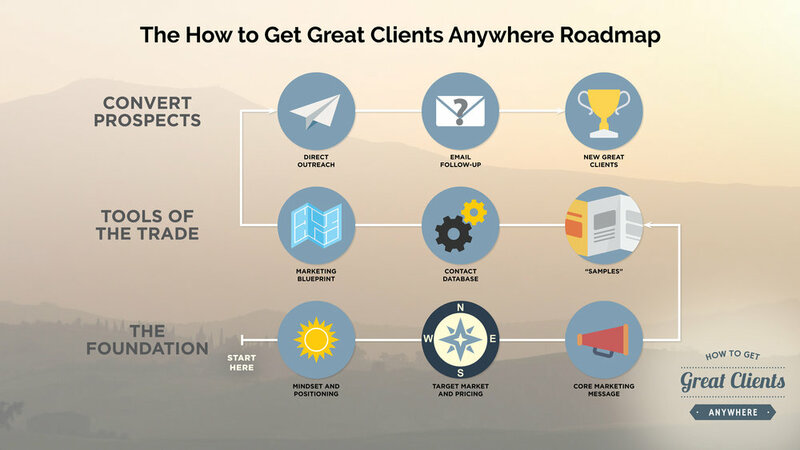 Get Great Clients Anywhere was developed as a $997 masterclass but is currently available for $297 — for a limited time only. We are planning to raise the price of the course in the future, so join today for only $297, and get full, lifetime access. This course is right for you if you currently sell, or want to sell, your services to established businesses. It’s right for you if you want to reach out to and land pro-level clients, and if you want an efficient marketing system, so you can land new clients repeatedly. Question 2: What If I Don’t Know Anything about Marketing? If you don’t know anything about marketing, this course will literally teach you everything you need to know in order to land clients. It’s called a “masterclass” for a reason, because it literally teaches you, and shows you, everything you need to know. In other words, it fully explains the marketing strategies, and then shows you how to carry them out, with step-by-step instructions. Question 3: How Do I Find an Outreach List? Finding a high-quality outreach list that’s right for your business is thoroughly covered in Module 3 of the course, including step-by-step instructions. After watching the videos in Module 3, most students are able to find a highly targeted and up-to-date list of contacts to reach out to, with both physical and email addresses, in only 30 to 60 minutes. If you have any problems at all, we’ll help you in the private Facebook group. Question 4: How Much in Sales Can I Generate? The answer to this depends on many factors, such as the kind of service your offer, how much you charge, the quality of your work and marketing materials, and your other abilities. But if you have a solid business offering, if you put what you learn into action, and if you reach out to enough contacts, most students should have no problem generating many, many times the cost of the course and whatever they spend on creating their marketing materials. And for most students, when they land their first new project, it should more than cover the entire cost of the course. You’ll receive an email confirmation, welcome packet, and login information immediately. You receive a short survey so we can help you get the most out of the course. You’ll be able to join our private Facebook group right away. You’ll get immediate access to the entire class and all the video lessons. You’ll get access to the bonus module, “How to Create Winning Proposals and Quotations,” 30 days after joining the course. In addition, you’ll receive lifetime access to the course, and all future updates. Get Great Clients Anywhere is not a course where you just buy a bunch of canned videos and worksheets with no real support from the instructor. I’m here to help you every step of the way, and I personally review and offer feedback on all your work, your homework worksheets, and your current marketing materials. I’ll also look over the early drafts of your new marketing materials — to give you constructive feedback, and to keep you from making costly mistakes. Ask me questions in the private Facebook group or during a private consulting call. I’m here to help. I have a degree in advertising from a college in London, and I learned more practical, hands-on marketing techniques from Get Great Clients Anywhere than I did at college. The course helped me build the confidence to start charging professional fees and transition from freelancer to entrepreneur. Having a mentor while starting a business can help shave off years of learning, mistakes, and failures, and David did exactly that. He encouraged me, showed me how to do it, gave me feedback. He is the reason why I started a business now and not three years later. Thank you, David! D.R. Fideler is an experienced marketing and communications professional who has started over half-a-dozen businesses, mainly in the fields of book publishing, education, graphic design, and communications. He started his main solo business (discussed in this course) with a $1,500 investment and did $129,400 in sales in its best year. Originally from the United States, he now lives in Sarajevo, in southern Europe, with his wife and son. 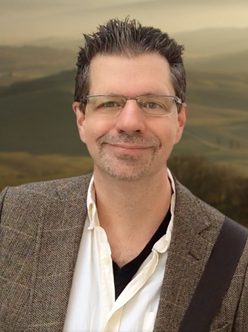 David is the founder of the Creative Blueprint Academy and the creator of Get Great Clients Anywhere. He’s a consultant to the program in marketing at Ferris State University in Michigan and has lectured on marketing at colleges and universities in the United States. He’s also a contributor to the fourth edition of Creative Strategy in Direct and Interactive Marketing. 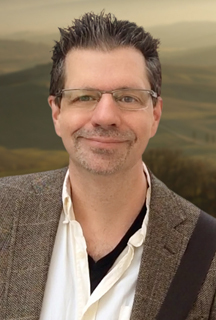 David has worked as a marketing consultant and copywriter for business-to-business companies across the United States and is the developer of the Core Message Analysis process. We will use a basic version of this process to create the marketing message for your business (or to improve your already existing marketing copy). Is Get Great Clients Anywhere a good investment for me if I’m just starting a business or only have a business idea? Yes. That is an ideal time to join the course because it will help you get your marketing approaches right from the very beginning. About 80 percent of people who take the course already have ongoing businesses but want to improve their ability to get great clients. How much of a marketing budget do I need to implement the marketing blueprints in this course? If you are running or starting a business, we strongly believe that you should treat it like a business — and you should actually have a marketing budget. In fact, when you are starting out, most of your financial and personal resources should be invested in getting new clients. You can implement the most expensive marketing blueprint in the course for less than $1.00 per outreach, which includes everything. But if you only have your time to invest and no marketing budget, you can use the email outreach strategy for virtually nothing. You receive lifetime access — including access to updated versions of the course, when they appear in the future. Why Should I Join Get Great Clients Anywhere Now? Don’t put off growing your sales. This is your chance to get lifetime access to a marketing resource that is easily worth many times the low cost, in terms of the sales it can generate for your business, month after month and year after year. Yes. See the complete refund policy below. Try Get Great Clients Anywhere for 30 days, totally risk-free. If you are unhappy with the course for any reason, you will receive a full refund. Just let us know what you didn’t like about the course and we’ll send you a prompt refund. Any other questions? Just send them to us at: support@creativeblueprintacademy.com. We’ll answer any questions you have right away.